Heading into 2017, talks about building a Great Wall made their rounds throughout the political sphere as President Donald Trump made it one of his top policy agendas. 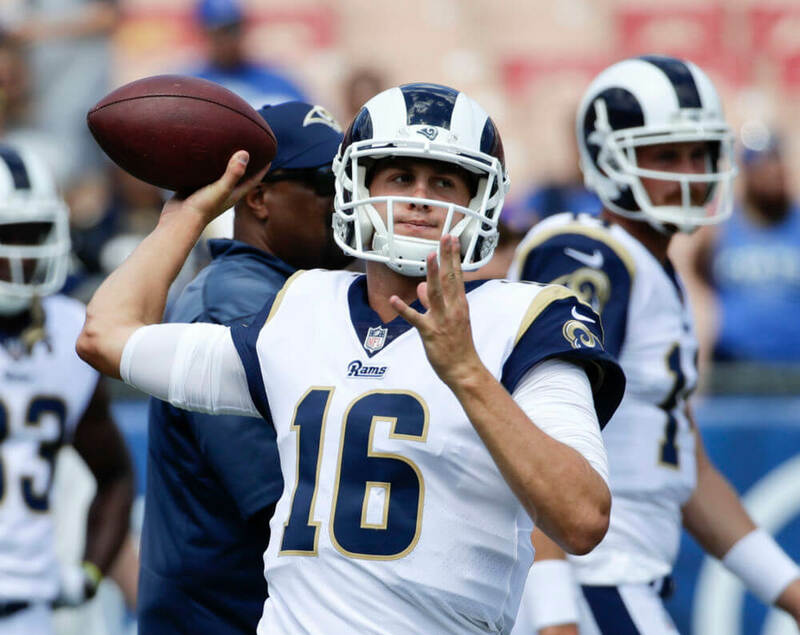 While Trump's talks of a Great Wall have yet to materialize, if there is one thing that all Rams fans can agree upon is the need for the Rams to build a Great Wall for their young quarterback Jared Goff. With the 2nd round of the draft upon us, there have been many suggestions that the Rams must get an additional receiving weapon to help give Goff more options as receivers struggled to gain separation from coverages in 2016, or re-establish the running game with a more focused Todd Gurley, however I am here to tell you that in order for any of those things to happen, it will require a fortified wall that starts with the offensive line. Rams General Manager Les Snead has made progress to construction of this wall with the additions of veteran linemen Andrew Whitworth OT and John Sullivan C in the offseason. However the Rams should continue to build their wall as they enter the draft. After the 1st round, it’s clear that teams have focused on the skilled positions with Running Backs, Quarterbacks, and Tight Ends being drafted early. However the Rams must ignore the intrigue of these positions and should invest 3 of their first 4 draft picks on the offensive line. Jared Goff had no time to make decisions last year as the Rams line ranked 2nd in the league allowing 49 sacks behind only the Cleveland Browns and averaging only 3.3 yards per rush attempt which ranked 31st out of 32 teams. Goff could not make it through all his progression because he was staring down the pressure of the defense and running for his life. With the two veterans established in the offseason, the Rams need to rejuvenate their offensive line by creating competition and building the best line they can for their quarterback. If the Rams are able to protect Goff the odds go up that his career doesn’t end up like David Carr who spent the majority of his time avoiding the pass rush.